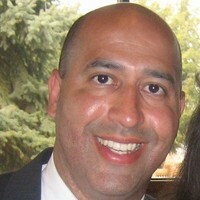 Ivan Gatewood is senior vice president of business development and chief revenue officer at IDS International. A top-performing development executive with a proven ability to capture and retain Federal and commercial business, he has a strong track record of delivering compliant and winning proposals that align with organizational strategy and priorities. At IDS, he is responsible for overseeing day-to-day business development operations, including opportunity identification, pursuit, capture, and proposals. Before joining IDS, Gatewood served as vice president of business development and capture management at Constellis, the leading provider of risk management, humanitarian, social intelligence, training, and operational support services to clients worldwide. Gatewood came to Constellis via the 2017 acquisition of Centerra Group (formerly G4S Government Solutions and Wackenhut Services, Inc). In this capacity, he led corporate growth strategy and global development across nine separate service lines, serving corporate, government, and nonprofit clients. A member of the leadership management team, Gatewood was directly involved in the successful capture and award of more than $4 billion in new and existing business over his eleven year tenure. Prior to joining Constellis, Gatewood served in a variety of business development roles, demonstrating an ability to excel and deliver across different markets and industries. As founder and managing consultant of i-MAGE Corporation, he oversaw operational management and corporate strategy, in addition to driving business development efforts for small and emerging businesses. Gatewood previously served as director of program management and technical operations at Quality Support, Inc., a leading SDVOSB and former 8(a) service provider. He led a team of project managers and developed the business development and proposal lifecycle for Federal procurements. He spearheaded several corporate growth initiatives resulting in 400% revenue growth over a five-year period. Gatewood attended the University of Florida, where he received a Bachelor’s degree in telecommunications and broadcast journalism and a Master’s degree in business administration, with a focus on entrepreneurship. He is a member of the Overseas Security Advisory Council (OSAC); Intelligence and National Security Alliance (INSA); and ASIS International; and has participated in several meetings with the International Stability Operations Association (ISOA); National Association of Security Companies (NASCO) and the Airports Council International – North America’s (ACI-NA) Public Safety & Security Council.